"We didn't like the things they did and they didn't like the things we did." 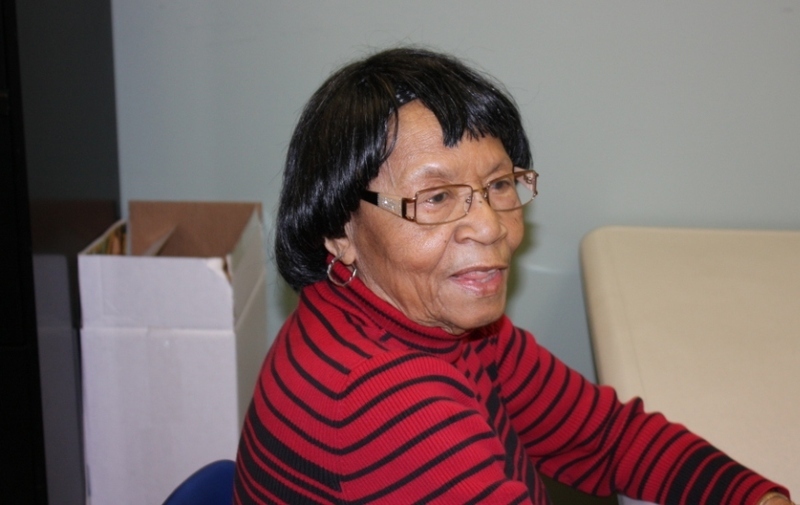 Born in Meridian, Mississippi in 1927, Violet Noble came to the East Central neighborhood during the growth period of the 1940s. This was also a time when East Central was undergoing a dramatic demographic shift following a steady drop in property values during the 1920s and 1930s. Like others, Violet remembers it as "run down." By the 1960s, East Central was known as the predominantly black area of Spokane. Like many other American neighborhoods, there was a concurrent element of "white flight": as more African Americans moved into the neighborhood, whites moved up the hill or out of the area altogether. Those that stayed often lived separate lives from their African-American neighbors. Violet's memories of the impact of the I-90 freeway are also representative of others. Because she lived higher up on the hill, neither construction nor the changes that followed it affected her daily life very much, but it undoubtedly affected some of her habits, albeit in more subtle ways. For instance, as businesses along Sprague closed after the freeway was completed, new ones began to sprout up the hill on 29th street. 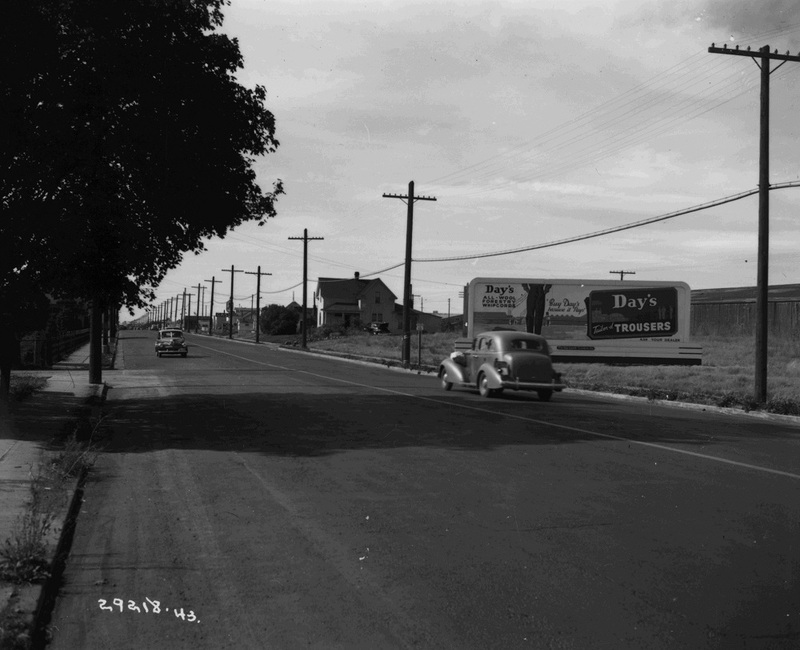 Where many of the residents who lived "above the bluff" would have traveled down the hill to shop before construction of the freeway in the 1960s, it was less trouble to go the other direction once the I-90 barrier was in place. Thus began the spiral that would sink the lower part of the East Central neighborhood deeper into poverty by the 1970s and 1980s, from which it is only now beginning to emerge. 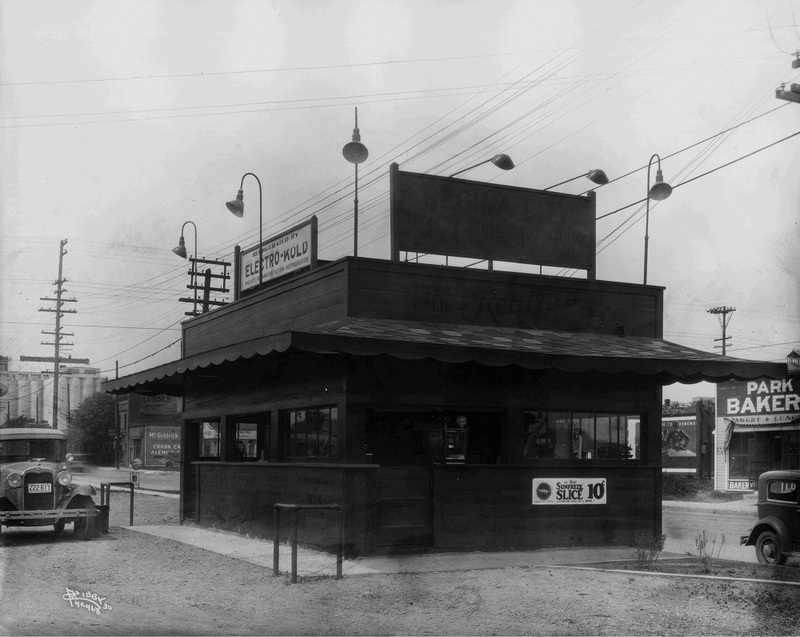 A roadside fast food restaurant, 1930 (image L87-1.42468-30 courtesy of the Northwest Museum of Arts and Culture). : This fast food joint is one of many located along Sprague Avenue before I-90 re-routed traffic further south. 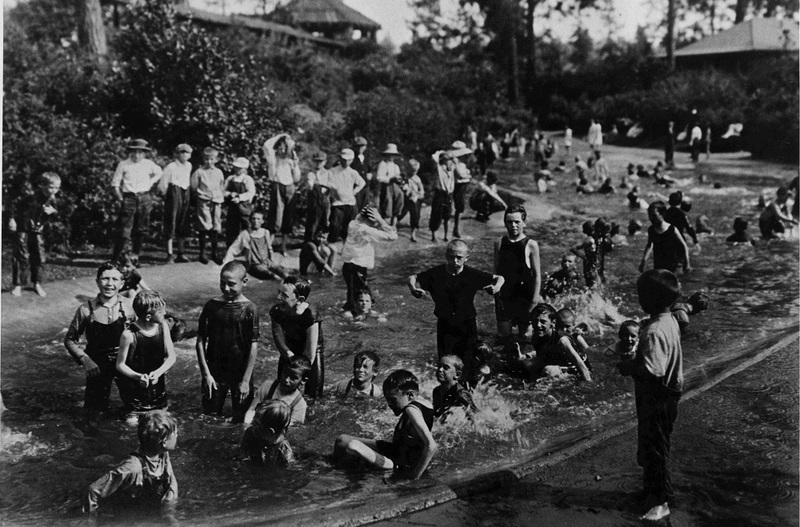 The wading pool at Liberty Park, probably in the 1930s (image L93-18.159 courtesy of the Northwest Museum of Arts and Culture). : Although the wading pool was perhaps the most popular attraction at Liberty Park, in this photo there is no hint of the racial diversity that defined East Central. 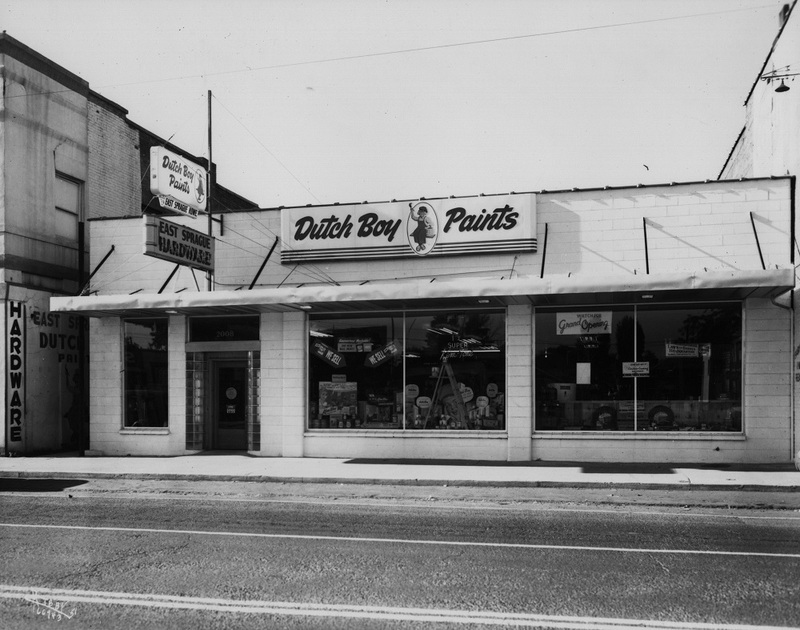 A Dutch Boy Paints store on East Sprague, 1951 (image L87-1.66943-51 courtesy of the Northwest Museum of Arts and Culture): Residents of East Central who used to travel down the hill to East Sprague to shop found themselves traveling up the hill to 29th street after I-90 was completed. Spokane Regional Health District's Neighborhoods Matter Program, & Frank Oesterheld, “Violet Noble, Resident Since the 1940s,” Spokane Historical, accessed April 20, 2019, https://spokanehistorical.org/items/show/473. Violet Nobe, interview conducted by Gary, Savannah, and Michael, January 10, 2014.